The brand of MaxxOil, a motor oil from California USA, is no longer to be strange in car engine oil industry as it has been available in Malaysia since 2014. Throughout these few year of efforts, MaxxOil has gained a very brilliant result in lubricants market with the award of SME100 – Top100 Fast Moving Company in 2016. Based on their survey, from time to time there are many request from motorcycle rider wish to have MaxxOil on their bike. 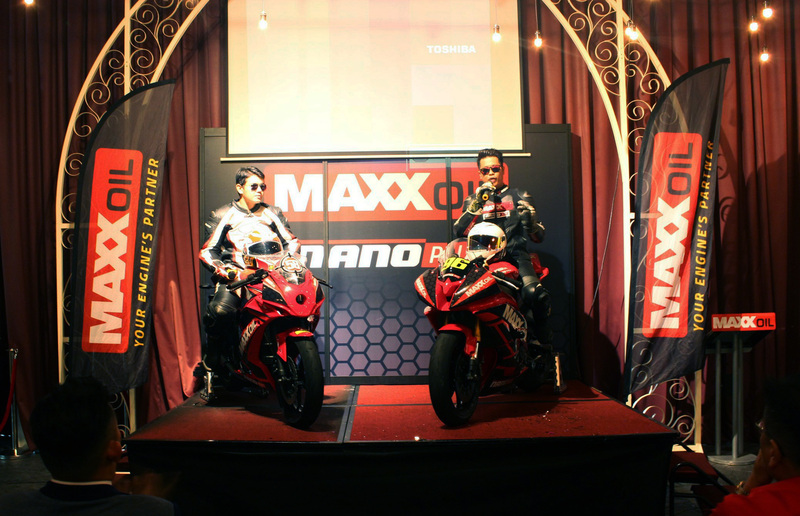 A very good news to 2-wheel rider, MaxxOil officially expands into motorcycle oil market which is distributed by one of the biggest distributor, Shriro Malaysia. Shriro Malaysia, which is wholly owned by Shriro Pacific Ltd is headquartered in Hong Kong. The Shriro Group has been established over a century ago with the direction of one family over the years. Over a century of excellence and achievements across different market industries, the group has extensive experiences in areas such as industrial, luxury fashion brand, fashion, manufacturing, consumer, audio visual, technical, photography, medical and sports throughout Asia Pacific, Europe and America. MaxxOil 4-Stroke motorcycle oil contains proprietary blends of premium base oil & advance additive technology help to achieve peak performance for machine. Thermally stable formula helps maintain proper lubricant and protect engine under high RPM & temperature conditions. It possess optimal frictional characteristics for maximum power transfer, smooth shifting & proper protection of the wet clutch. With excellent corrosion protection, it is designed for those high- demand engine applications. 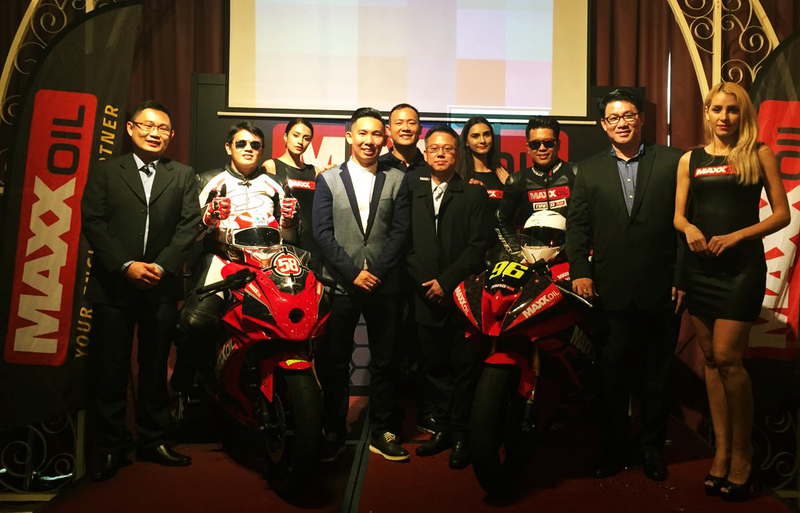 With the distributor partnership with Shriro Malaysia, MaxxOil Malaysia is confident to beneficial more driver not only limited to car but bringing another successful lagenda in motorcycle field. Besides, MaxxOil also introduce new motorbike racing team named “Team MaxxOil Racing”. With the new motorbike racing team, MaxxOil will continue extending its market to motorsport. With talented and racer from MaxxOil racing team and high quality motorcycle engine oil, MaxxOil is confident to get another big achievement in the future motorbike competition. As for their racing venture this year in Malaysia’s premiere Superbike competition, the team are looking at going against some of the more established outfit in the Sepang based competition. MaxxOil Racing along with their riders in two different categories; Steven in the supersports 600cc category while Hirzi in the 250cc category will need to up their game as the season starts from 18th till 19th of March 2017 in Sepang Circuit. MaxxOil Racing will officially undergo their motorsports development with the two riders as they are hoping to prove their ability in the local motorsports arena.